Join ILACSD as we team up with the County of San Diego for a litter cleanup at Ramona Community Park! 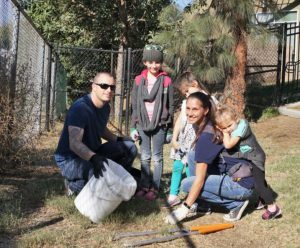 We will pick up trash around the creek between the baseball diamonds to divert waste from the San Dieguito River watershed and restore Ramona’s natural beauty for the community! We will have cleanup supplies, snacks, and water. We also provide community service hours and Letters of Appreciation for volunteers. This is a great opportunity for students and families to learn ways to protect our local environment! We encourage volunteers to bring their own reusable items such as water bottles, work gloves, and buckets to promote zero waste practices and help us in our mission to have a zero waste, litter free and environmentally engaged San Diego region! All volunteers are required to fill out a waiver form to participate and anyone under the age of 18 needs a waiver signed by their parent or guardian. For a map and directions, click HERE. For the waiver, click HERE.